I was obviously going to jump on the trend and find out for myself how good these KKW Beauty Contour Kits were. I placed an order and behold Canadian girls, I had to pay duties at the door on this product which I find completely ridiculous. I am not ordering this from the other end of the world, it comes from sunny Los Angeles, couldn't the duties be included in the payed price, already annoyed. Nonetheless, I was happy to have had the chance to get a KKW Beauty Contour Kit for myself because I wanted to see what the hype was all about. So here it is. I love me some contouring but I've never been a fan of cream contour, I don't know why. As for the KKW Beauty Contour Kit, it apply super smoothly, it is very easy to use. However, I felt it accentuated my skin's texture, so your skin really has to be top shape for this. The brush that comes with the kit thought is actually really good but I almost feel the product is so creamy that it blends it all out so much. All in all, I think it's quite overpriced for what it is but I really wanted to give it a go! 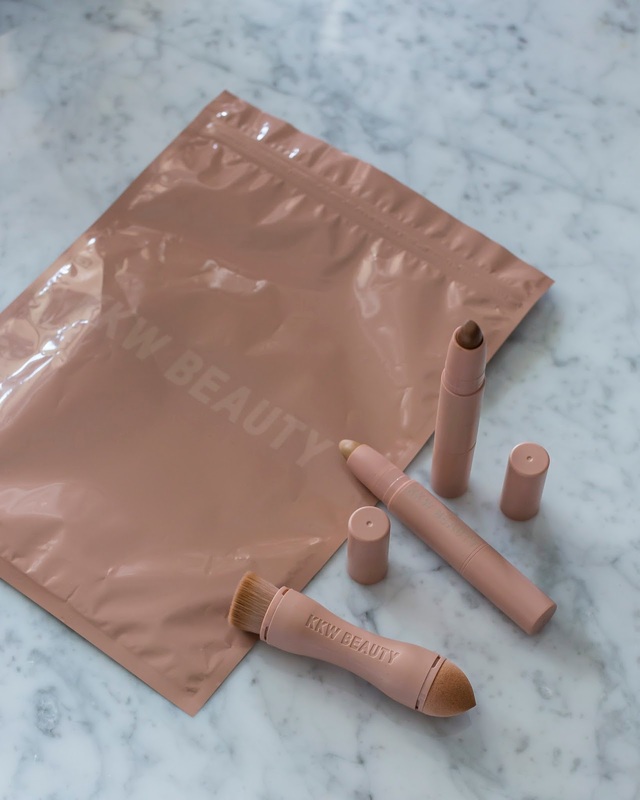 Bien évidemment, je devais sauter sur la chance et essayer les nouveaux KKW Beauty Contour Kits. J'ai vite passé une commande, mais attention aux Canadiennes, j'ai dû payer des douanes à la réception du paquet sur ce produit, ce que je trouve tout à fait ridicule. Je ne commande pas cela de l'autre bout du monde, le produit vient de Los Angeles, les droits devraient vraiment être inclus dans le prix payé, donc à la base, j'étais déjà un peu énervé. Néanmoins, j'étais contente d'avoir eu la chance de mettre la main sur un KKW Beauty Contour Kit parce que je voulais vraiment le tester. J'adore me faire un petit contours, mais j'ai toujours eu un peu de misère avec les contours en crème, je ne sais pas exactement pourquoi. En testant le KKW Beauty Contour Kit, j'ai remarqué qu'il s'appliquait super bien, il est très facile à utiliser. Par contre, j'ai senti que le produit accentuait vraiment la texture de ma peau, ce qui veut dire qu'il faut vraiment avoir une bonne peau pour porter ce produit. 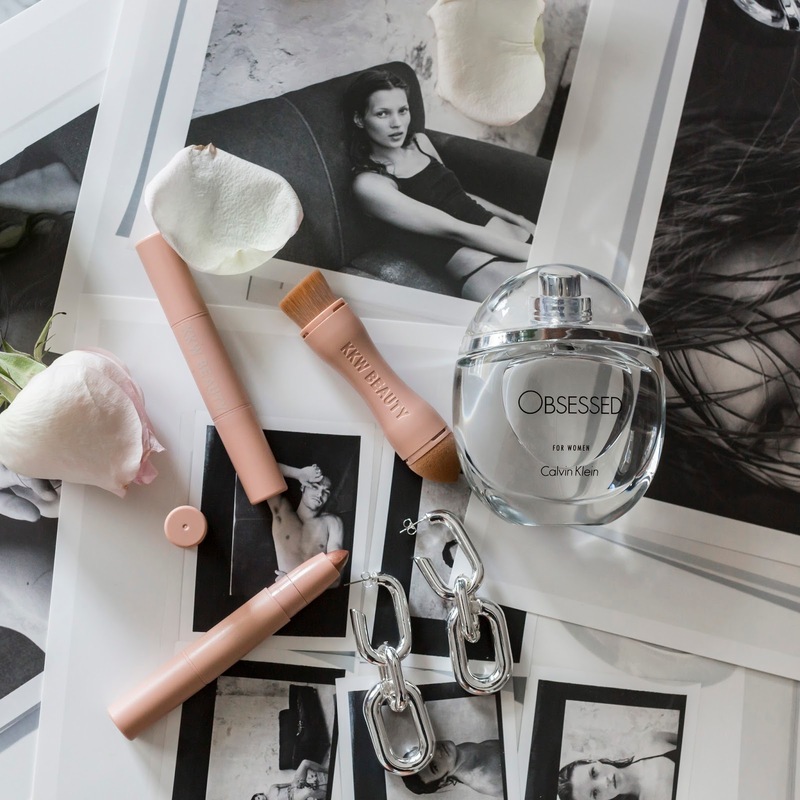 La brosse qui vient avec le kit est très bonne, mais souvent en l'utilisant, je sentais que le produit était tellement crémeux qu'il faisait quasiment disparaître le produit. Dans l'ensemble, je pense que c'est trop cher pour ce que c'est, mais je voulais vraiment l'essayer! Being a makeup freak,I am literally drolling over this KKW contour kit. Thanks for posting its review. I so want to add this in my cosmetic haul. A wide range of mascaras guarantee that they can twist your eyelashes and include volume. Attempt to stay away from overwhelming or oil recipes. They will simply make your lashes overloaded. Attempt a mascara that is waterproof and has an extending equation. This tip can give your lashes a full and twisted look. There is extremely normal misguided judgment about skin care items based around the essential collagen protein, particularly with regards to keeping angelina jolie skin care the skin young and sans age.. When you see her grin from the side in that scandalous "sucker" scene in The Ugly Truth, your heart enthusiastically shouts,Kate Hudson Face Cream "I need to be in that person's shoes." thanks to share. Fragrant healing kneading works upon the idea of utilizing sweet-smelling oils like rosemary oil and making oil emulsions to determine synergistic advantages, upon application.